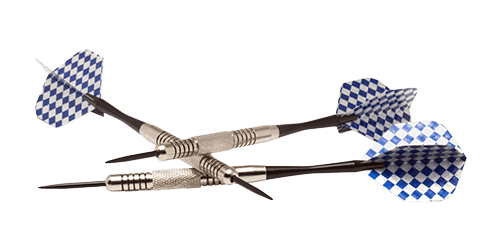 At first glance, it may seem as though there’s little to connect casino gameplay and the intricate sport of darts.This ignores the fact that some casino games require considerable levels of skill and strategy, however, while it also fails to recognise the intrinsic link between the sport of darts and gambling sponsors. In terms of the latter, Swedish casino giants Mr. Green recently signed a deal to become the official sponsor of the Professional Darts Corporation (PDC) Players Championship Finals, which is one of the most prestigious tournaments on the tour. We’ve also seen a number of darts and other sports stars make headlines at casinos across the globe, creating a deeper integration between these unique entities. We’ll take a look at these below, as we explore the wonderful world of casino gameplay and its most fascinating stories. One of the most fascinating tales revolves around the two-time PDC darts champion Adrian Lewis. Often considered to be the heir-apparent to the legendary Phil ‘The Power’ Taylor, Lewis boasts incredible natural talent and can be unstoppable on his day. Back in 2005, he also enjoyed a winning run of a different kind, as after a trip to Las Vegas saw him scoop a $72,000 jackpot on the slot machines. Whilst we’re unsure of the RTP of these slot games, we’d bet that they were significantly below the highest RTP slots offered by Quickspin. The Stoke-born star was quickly brought crashing back down to earth, however, after being informed by U.S. authorities that he was too young to claim the prize. Lewis was only 20 at the time, and despite eligible to gamble under UK law the Nevada state legislation requires players to be 21 or over in order to access casinos legally. However, has he opted to play real money slots in the UK instead, he would of course been able to keep his winnings. This is the reason behind his nickname ‘Jackpot’, which perhaps indicates the gallows humour shared by Lewis and his peers! One darts players who enjoyed slightly better luck was the 32-year old Gerwyn Price, who hit The Tropicana Casino in Vegas following a 8-0 U.S. Masters semi-final defeat against Michael van Gerwen. The former Rugby League player enjoyed far better look on the casino’s roulette machines, as he pocketed a hefty $10,000 in Nevada’s gambling capital. This, combined with his $6,250 cheque for reaching the last four at the U.S. Masters made for a great weekend for the Welshman and highlighted how fortunes at the casino can change in an instant! 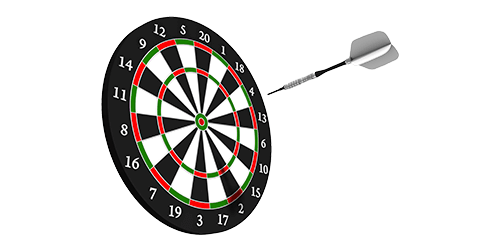 These tales are synonymous with the fabric of darts, which is also a popular target for sports betting punters across the globe. 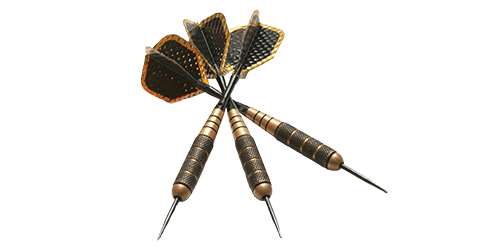 They also highlight the way in which both darts and gambling appeal to the same audience, particularly in an age of virtual betting and casino gameplay. Darts players are regularly invited to attend UK casinos as guests of honour too, whether this is to open new establishments or provide a specialist form of entertainment. The late, great Eric Bristow was invited to appear that Grosvenor Casino alongside Keith Deller in the summer of 2016, for example, while punters were encouraged to play against these two legends in teams of four. This type of event is far from unique, and there’s no doubt that darts and gambling will continue to enjoy a close relationship in the future. How good is Cristiano Ronaldo at poker?